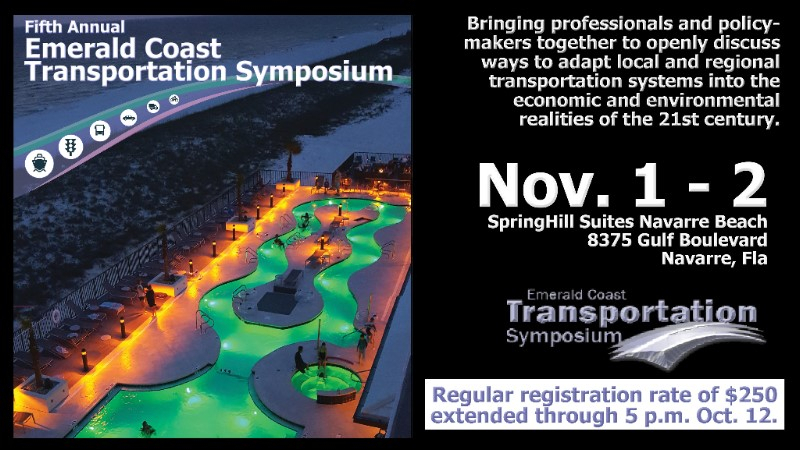 Click the graphic above for information on the symposium or to register for this year's event. For questions or comments, please contact staff by phone at 850-332-7976. 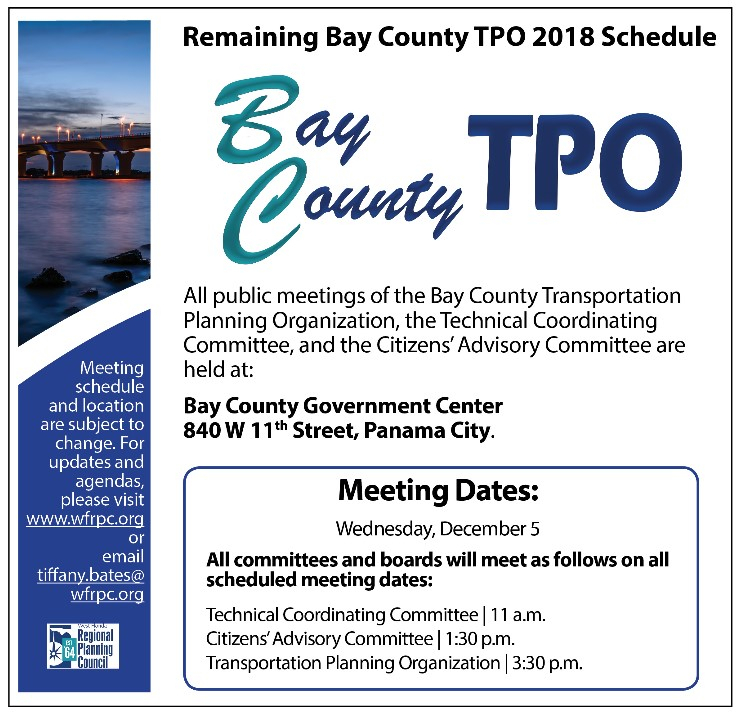 The Bay County TPO met at the Bay County Government Center on Sept. 26. 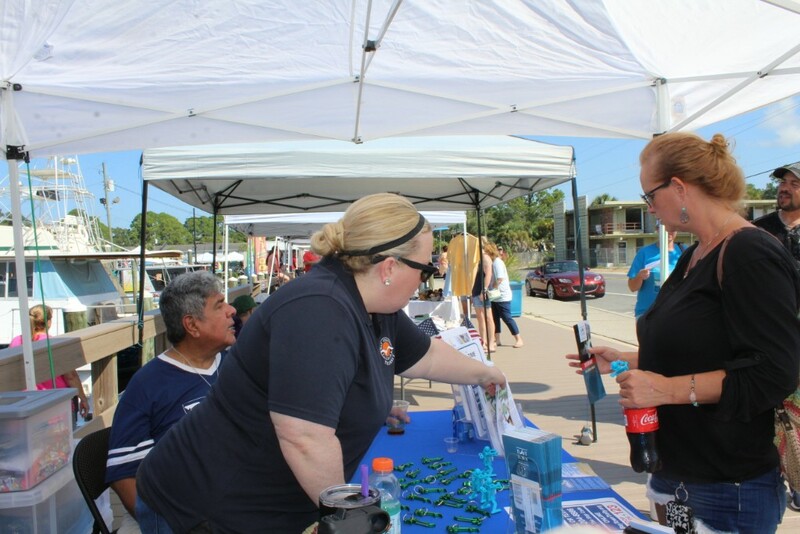 Bay County TPO chairperson Pamn Henderson and TPO board members attended the Bay County Transit Advertising Bus Rollout ceremony on Sept. 13. 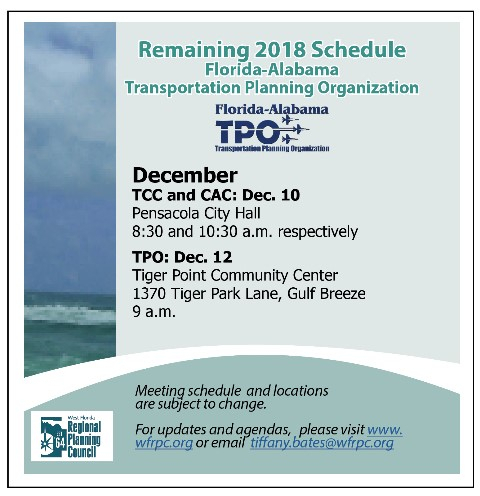 The Florida-Alabama TPO met at the West Florida Public Library in Pensacola on Sept. 12. 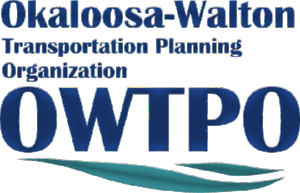 The Okaloosa-Walton TPO met on Sept. 20 at the Walton County Courthouse in DeFuniak Springs. 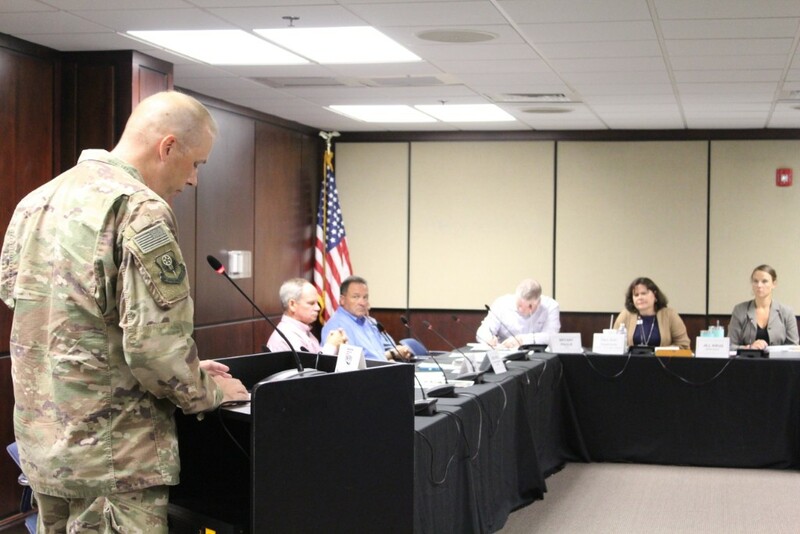 Lieutenant Colonel Brant Folken (pictured right) attended the TPO meeting in support of FY 2020-2024 Project Priorities. 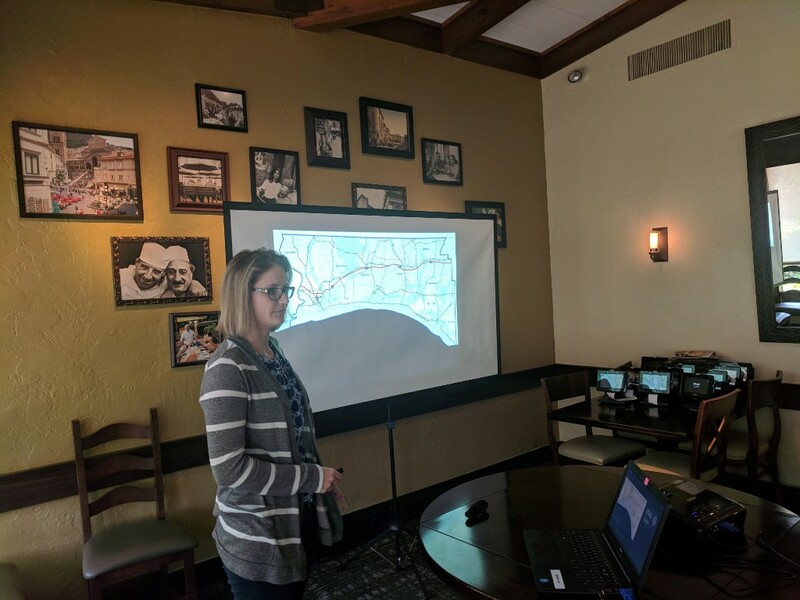 WFRPC transportation planner, Jill Lavender, recently presented to the Project Management Institute (PMI) Emerald Coast Chapter, in Fort Walton Beach, discussing stakeholder engagement, planning, and the preparation that occur in developing project priorities. 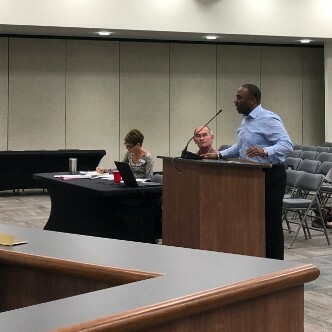 New EC Rider General Manager, Mr. Tyrone Parker, addresses the Okaloosa County Transit Co-op at the September meeting. 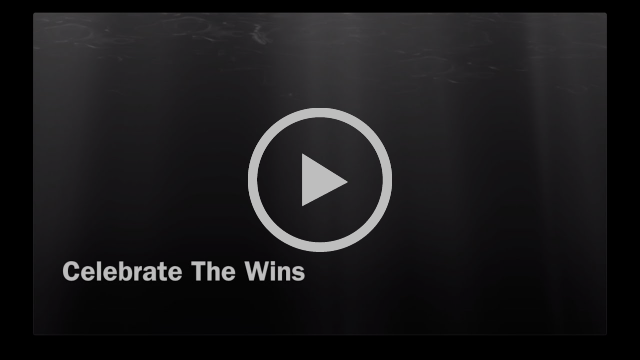 Each quarter, WFRPC "Celebrates the Wins" by looking back at just a few of the moments during the previous three months in which staff engaged in the mission to preserve and enhance the quality of life in northwest Florida. Please enjoy this video containing a compilation of these recent moments. 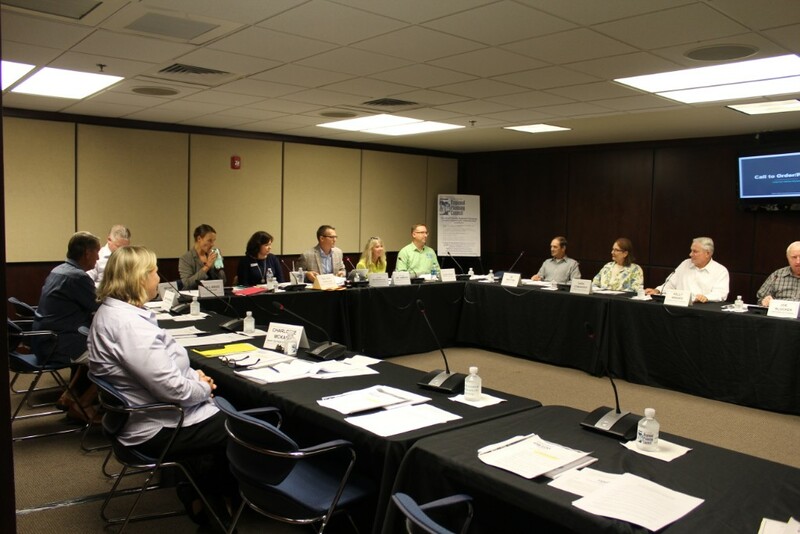 The WFRPC’s Brownfields Cleanup Revolving Loan Fund through the Environmental Protection Agency has been extended through September 2019. Cleanup activities for properties that may have been contaminated by petroleum or hazardous materials may be eligible for a low-interest loan. Visit www.wfrpc.org/programs/brownfields for more information. 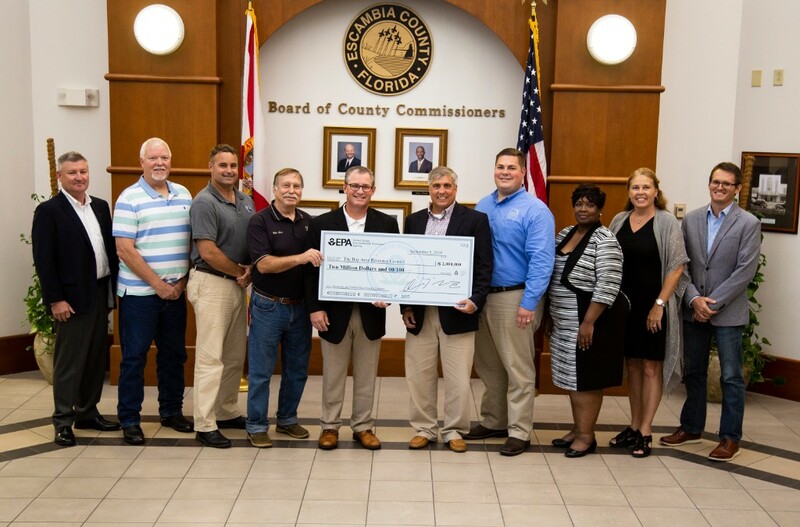 The U.S. Environmental Protection Agency’s Gulf of Mexico Program awarded the Bay Area Resource Council (BARC) a $2 million cooperative agreement to establish the Pensacola and Perdido Bays Estuary Program. The project is the result of several years of collaboration and is the first estuary program in northwest Florida. The Pensacola and Perdido Bays Estuary Program is a non-regulatory program that will leverage and coordinate efforts among federal, state, and local agencies and the public to achieve publicly identified goals and objectives to restore and conserve the environment and economy of Pensacola and Perdido Bays for generations to come. For more information about the Pensacola and Perdido Bays Estuary Program, visit: https://www.myescambia.com/estuaryprogram. Technology in public transit is constantly evolving to improve efficiency and rider experience. 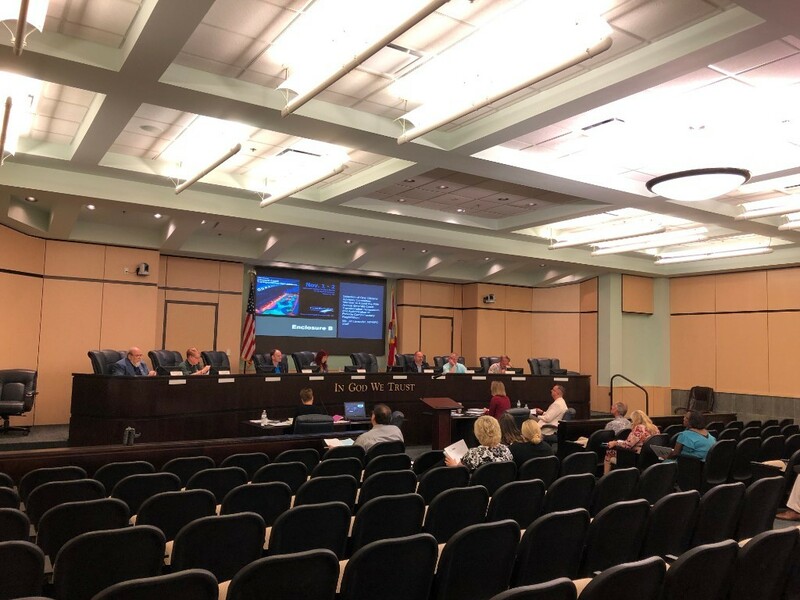 Bay Town Trolley has launched a new, real-time system that informs riders when buses are expected to arrive and what routes will best serve their transportation needs. 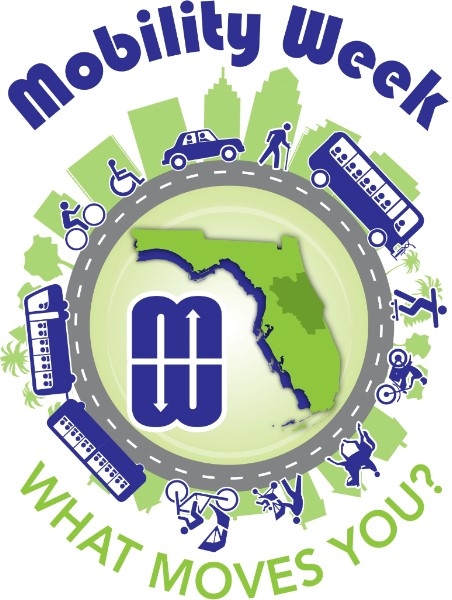 Bay Town Trolley provides access to Transit Map, Moovit, and Google Maps on the Bay Town Trolley website and free Wi-Fi for riders while they are in route, making transit information accessible and route planning easy. 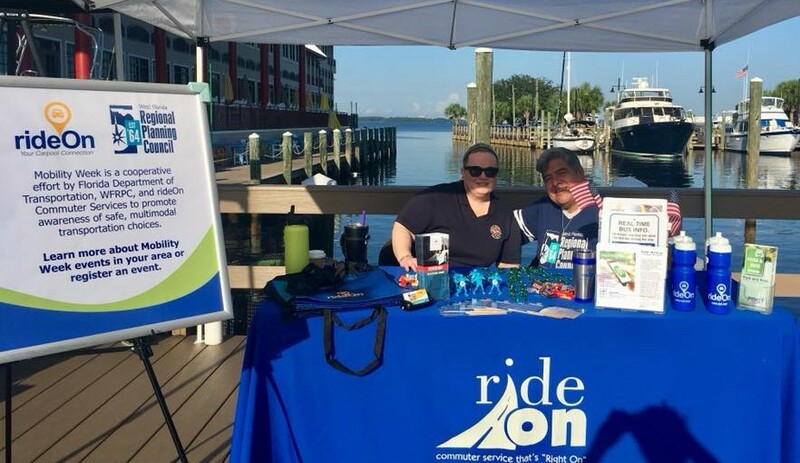 As a Bay Town Trolley partner, rideOn Commuter Services assisted in the provision of information on these new services by attending the St. Andrews Farmer Market in Panama City on September 22 to spread the word on both Bay Town Trolley's new system and the rideOn program. 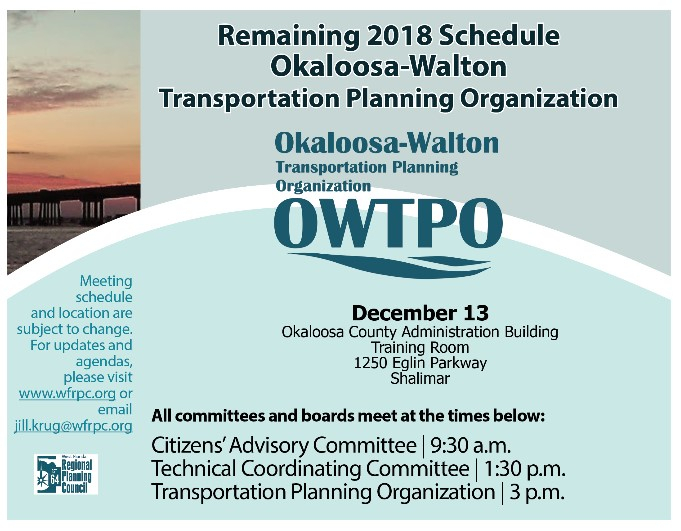 For more information about rideOn, contact Caitlin Cerame or call 850-332-7976 ext. 203.
rideOn participated in the Emerald Coast Home and Boat Show on Saturday and Sunday, September 15 and 16. 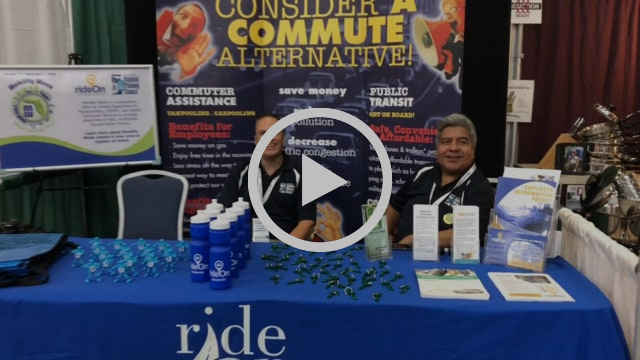 This expo is largest home show and business event in northwest Florida and afforded rideOn the opportunity to provide transportation information to more than 2,000 visitors. 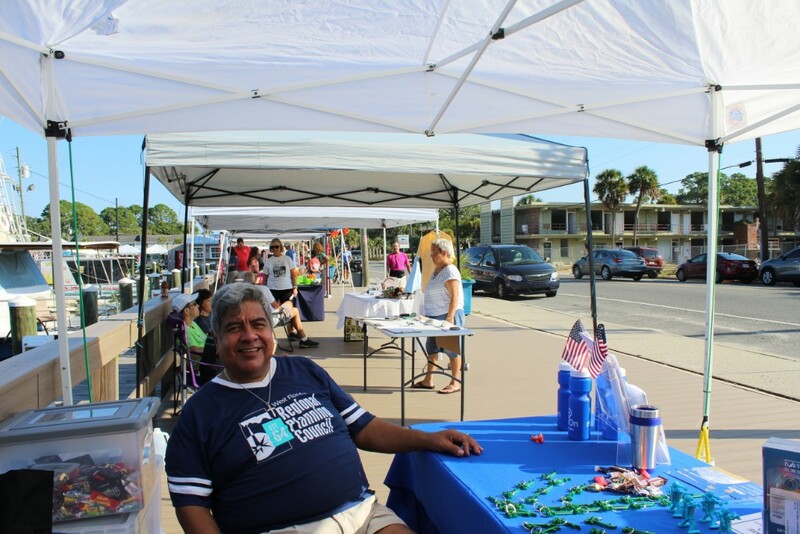 rideOn was one of more than 120 vendors at the Emerald Coast Home and Boat Show. Visitors stopped by the rideOn vendor table for van pool information and to take home their own boogie bot!